Understanding the pros and cons of buying a home in winter is a great first step to success. It is important to be flexible with your schedule when working with sellers, both in terms of when you’ll close and how you’ll view a property. Don’t feel pressured to pick a property that isn’t ideal. Plenty more inventory will come on the market in January. Though it’s not seen as a traditional time to purchase a property, buying a home in winter can be an effective (and ultimately profitable) way to go. There can be great deals for the persistent and savvy buyer during the winter home buying season, but how do you find those individuals selling a home in winter? Is winter the best time to buy a house? Whether you’re a first-time homebuyer looking for your first property, or you’re a real estate investor looking to add to your portfolio, here are some key points to think about when buying a home in winter. Less competition from other buyers: The real estate market traditionally heats up in the spring and summer months (no pun intended), when more listings hit the market and buyer competition intensifies. Then, the activity level tends to taper off through fall and into winter. You might face lower inventory levels, but you usually gain the advantage of facing less competition from other buyers. Higher chances of closing a deal: When you face less competition from other buyers, your chances of closing a deal can go up. During busy selling months, it can get frustrating when you find a great property, only to find out that 10 other bids have been submitted. As a result, you’ll find yourself in fewer bidding wars for properties. According to research from Zillow, houses listed in December tend to sell for $3,100 less than the average. Lower demand pushes down prices: Simple economics explains why buyers often enjoy a reduction in prices during off seasons. When buyer demand decreases dramatically, sellers have no choice but to reduce their prices or wait to re-list their property at a later time. Buyers who remain on the lookout during the winter months have an opportunity to find great deals. Sellers become more motivated: There are a variety of reasons why someone might be selling their property in the winter. For example, they might have personal circumstances forcing them to move during the winter, or perhaps their listing is leftover from the summer or fall. Regardless of the reason, sellers generally become more motivated to sell as real estate activity slows. This means that winter buyers have the advantage when negotiating the purchase price, terms of the sale, and any items to be included with the purchase. Realtors are less busy: When there are less people shopping for homes in the winter, it means that your real estate agent will have more time to devote to your house hunting needs. They also might be more inclined to put in the added effort to negotiate your home purchase, due to the decrease in sales volume. 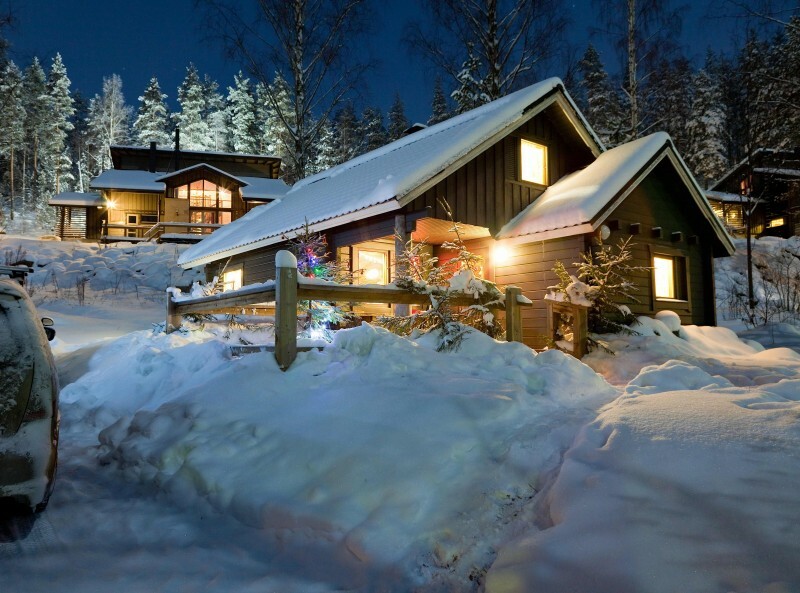 Evaluate the drawbacks and benefits before you decide to buy a home in winter. Try to stay flexible throughout your home buying process, as the holidays and unexpected weather can affect schedules. Make sure to mind your due diligence and have the property thoroughly inspected. Don’t compromise on your dream home just because the inventory is too limited. Work with your Realtor to gauge a seller’s motivation level and make the right offer. Build in some buffer time before your closing date, in case of unexpected delays. Now that the various benefits of winter home buying have been brought to light, you may be wondering about the possible downsides. For starters, searching for a home when the temperature dips can be a challenge. Snow, puddles, ice—all of this can make for some difficult terrain when visiting properties. Depending on your market, inclement weather can present a challenge when you hope to inspect the property as thoroughly as you would like. In addition, most sellers are advised to wait until spring to list their properties, which means inventory can be limited in the wintertime. Fewer listings means you have less to choose from, although this can help you focus and speed up your search. The bottom line is that there will be drawbacks and benefits, no matter which season you decide to buy a home. If you feel ready to buy a property, make sure to evaluate these seasonal circumstances and decide if you want to start your search immediately or wait for the next season. The winter holidays are a busy, and often stressful time of year, for most folks. Even the most motivated sellers will find themselves unable to drop everything and meet you at a property to give you a walk-through. A little bit of schedule flexibility can go a long way toward cementing a deal. Cold and wet weather can make it challenging to properly inspect certain areas of a house. However, it is your responsibility to mind your due diligence and conduct a thorough inspection before buying. This may require you to find a home inspector who has experience looking at homes during the winter. Be sure to use this ultimate home inspection checklist to make sure that your inspector has covered all areas of the property in detail. You will also want to ask for documentation that supports work that you might not be able to see. Does the seller have receipts or building permits that prove when the roof was last replaced, or when the septic tank was last serviced? As a buyer, a great way to protect yourself when making a purchase offer is to negotiate the placement of an inspection contingency in your purchase agreement. This provides a buyer with built-in time to conduct inspections before closing and negotiate any repairs as necessary. Take your time and learn about the different types of real estate contingencies that can help protect you during the homebuying process. Working with a limited supply of listings can be a good thing if it helps you narrow the focus of your search. Depending on the market, however, it can also mean you simply don’t have enough to choose from. If a property isn’t exactly what you’re looking for, isn’t quite your dream home, or something feels a bit “off” about it, don’t panic. Do your best to move on to the next listing, and know that more listings will hit the market as winter turns into spring. 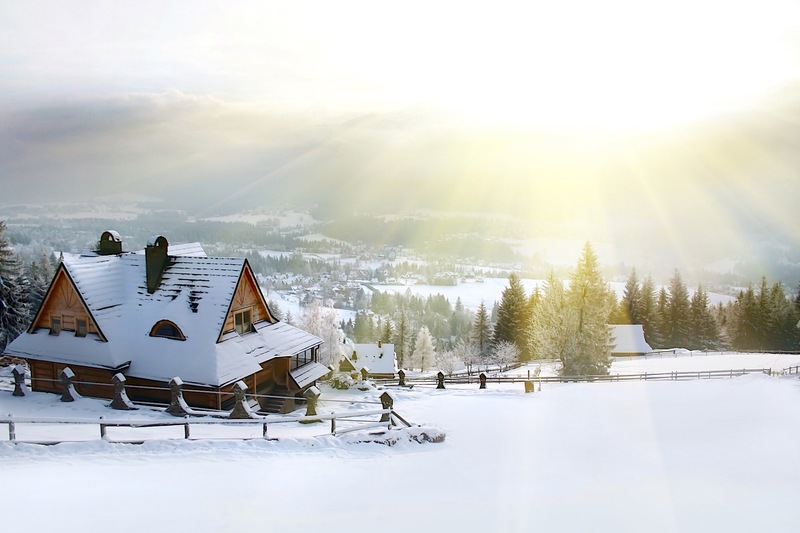 It’s important to keep in mind that winter home buying trends are generalizations. Generally, home prices are lower and sellers are more motivated in the winter, but not always. Make sure to work with your Realtor to gauge each seller’s motivation level, and to ensure that you don’t lowball your offer so much as to offend them. It’s entirely possible to score a sweet deal, but your chances of doing so will increase if you use caution and mind due diligence. Weather-related delays can be particularly aggravating in the winter months. A property inspection can sometimes result in repairs that must be made before you’re able to move in, such as updating the plumbing or re-wiring the electrical. Unfortunately, construction work can come to a halt when it’s freezing outside or a snowstorm makes its way through town. These delays can be especially problematic when the closing or move-in date is fast-approaching. Building in some buffer time before your closing date can help alleviate a lot of stress, for both the buyer and the seller. The idea of buying a home in winter might scare some buyers off—the mere idea of trudging through snow to look at properties can deter just about anyone. However, this decrease in competition from other buyers presents a unique opportunity to find a gem at a great price. 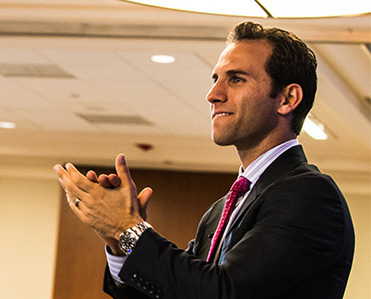 Those who are most successful are those who have a game plan going in, such as knowing how to find motivated sellers, committing to the idea of negotiating, remaining flexible, and having the imagination to see a property’s potential. If you need a little help coming up with your game plan, check out our House Hunting 101 resource.